Durham Magneto Optics Ltd is committed to working with customers to optimise our instruments to their specific needs. This relationship begins before an order is placed and will continue after the successful installation of the equipment. Installation and post-sales servicing are performed on your site by our agents. In Europe and Russia, we are represented by LOT-Oriel GmbH. 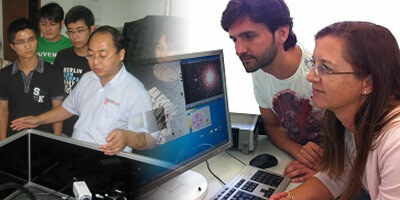 In China and South Korea we are represented by Quantum Design (China). In the USA and South America we are represented by Quantum Design (USA). We are based in the UK, but can export to most parts of the world.